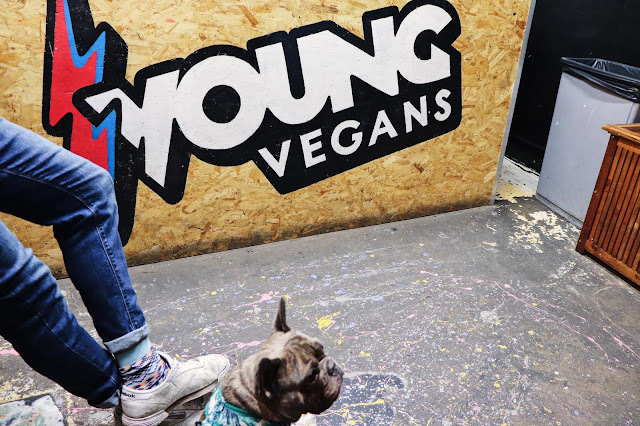 Food: Pies at Young Vegans, Camden Town London - Daisy Chains. Last Friday I headed down to Young Vegans Pie shop in Camden Town Market to try some of their pies. 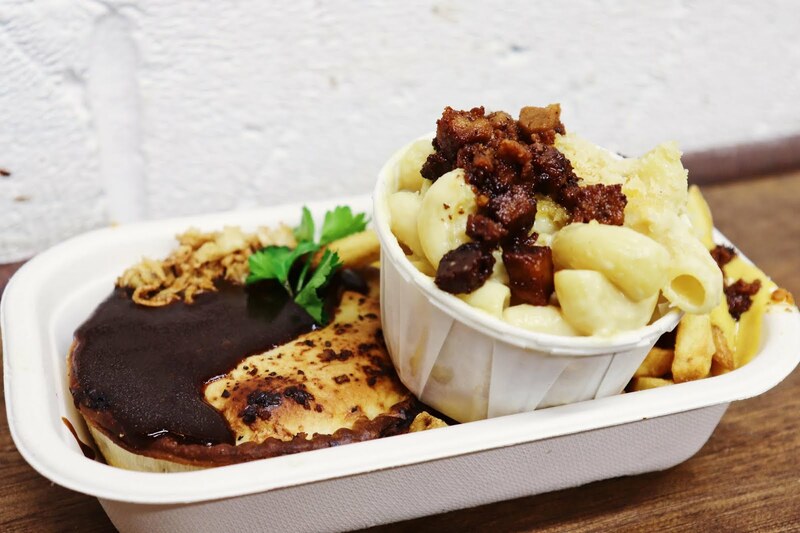 Although everyone talks about their pies, they have more than just this on their menu. 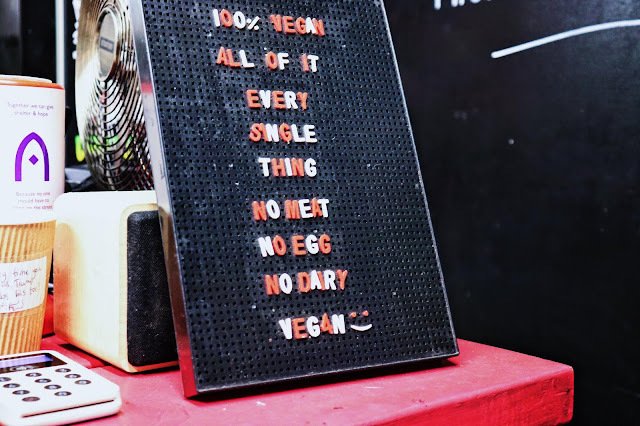 They also serve an array of sides. 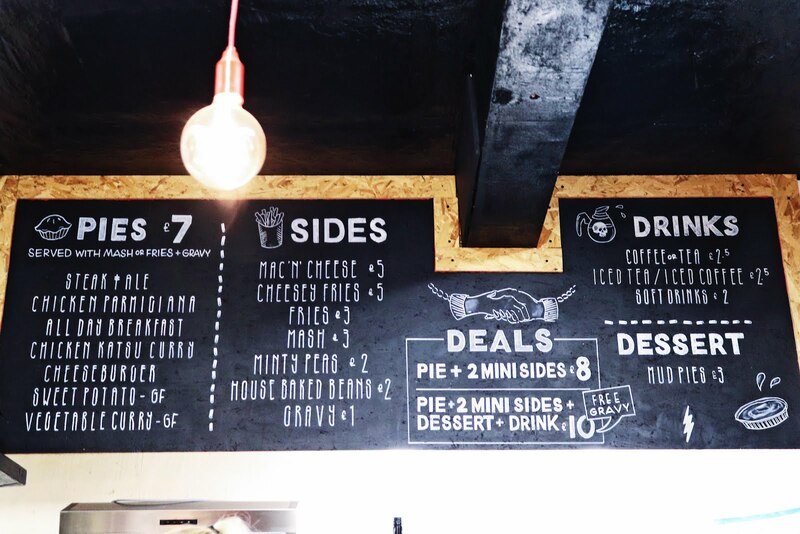 For example, looking up at the menu board I was delighted to see that there was a side of Mac and Cheese (my favourite). 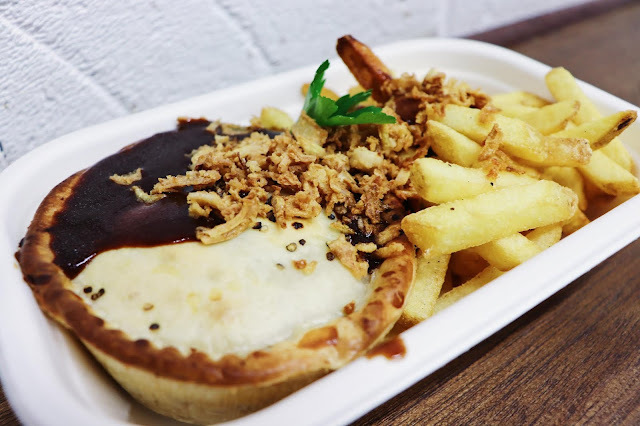 All pies here are served with either mash or fries and gravy for £7. 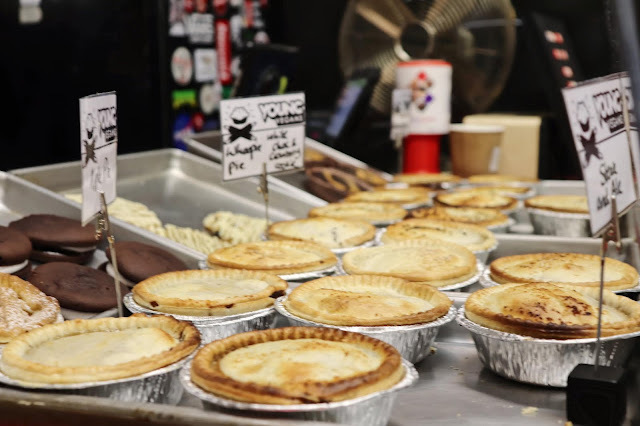 There are however some pretty good deals going at their shop such as a pie and two mini sides for £8 or a pie, two mini sides, dessert and a drink for £10. Both to me seem like pretty good deals as you get a lot for your money. The store seemed pretty popular not only with customers eating in but also with the countless deliveroo drivers heading in to pick up people's orders. The extensive list of pies was incredibly inventive and some of the items on the menu were variations of pie I would have never imagined. For example, I would have never had thought to put a cheeseburger or chicken katsu curry in a pie but these guys had done it and did it well. The pies served here also include a range of dessert pies such as apple pie, whoopie pie and peanut butter mud pie which are all on display by the cashier together with the mains. It was an incredibly hard decision to make when it came to ordering as everything sounded amazing. However, their lovely manager Freya helped us make our decisions by giving us some recommendations. I ordered the Chicken Parmigiana pie, with a mini side of cheese fries and mac and cheese as recommended by Freya. The pie was really delicious, the strips of meat substitute chicken looked and tasted very convincing as were full of flavour and had the same bite as what I remember real chicken had. The marinara sauce in this pie had a good spicy kick to it and is apparently the founder's family recipe. 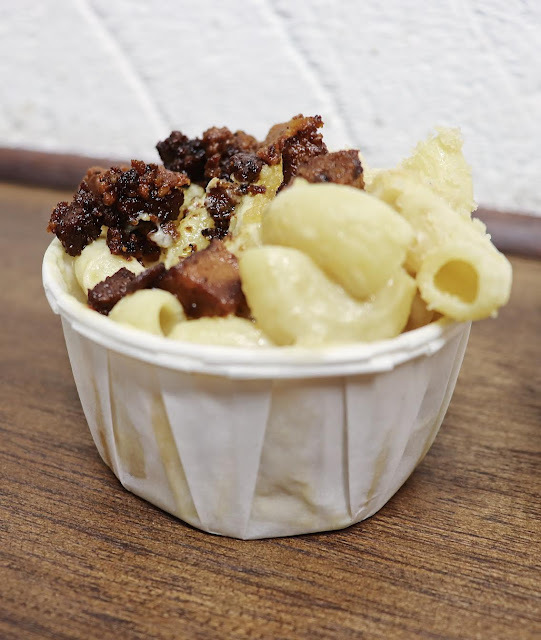 The mac and cheese was creamy, cheesy and topped with seitan bacon which tasted smoky and just like the real thing. Hidden underneath the little bowl of mac and cheese, were the cheese fries that were recommended to me. Once again, the 'fake cheese' on this was incredible, it was creamy, silky and very cheesy. The bacon seitan pieces completed this and added flavour to the fries. My friend who came with me ordered the cheeseburger pie and I actually tried some of it. As I would have never of put a cheeseburger and a pie together in my head, I was actually shocked at how incredible this actually was. This had a patty at the bottom of the pie and a layer of creamy cheese sauce inside of it. Although my friend is not vegan, he really enjoyed the pie and even loved the cheese fries and mac and cheese that I shared with him. 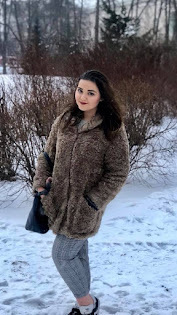 After having our mains, we stayed a good while chatting to Freya the manager and once we felt that we had room we decided to try out their dessert pies. 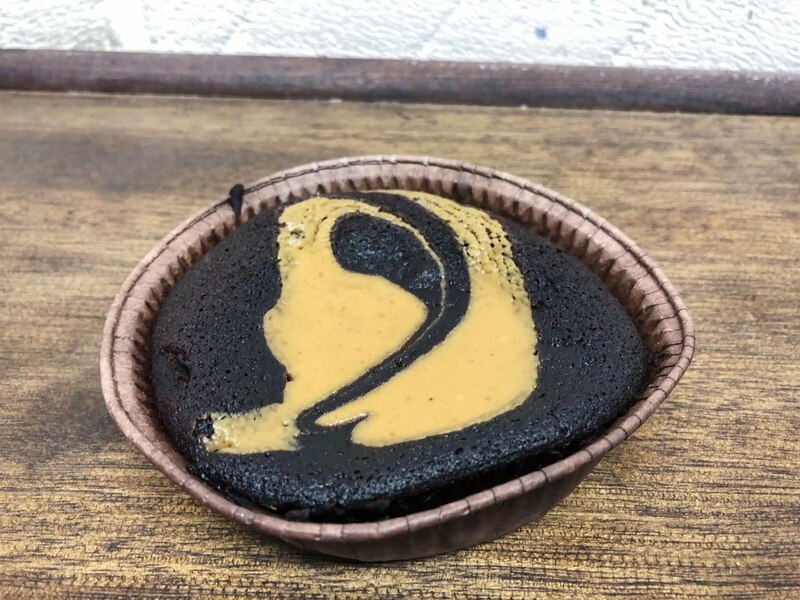 As I am not terribly adventurous both my friend and I got the peanut butter mud pie. The pie was incredibly rich, chocolatey and in no way dry like some vegan cakes are. I would definitely recommend getting this dessert to anyone who visits even if it is just to take away. It was mindblowingly good! Overall, we had such a great time at the Young Vegans pie shop. The staff were so friendly and the venue is incredibly dog friendly as Maya came along as well. The pies are super delicious and are affordably priced. I would definitely recommend their food to everyone. * please note I was offered a free meal in exchange for a review of their restaurant.